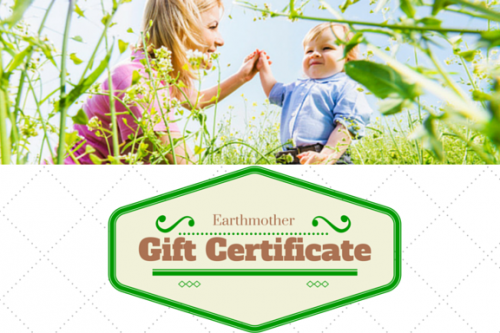 If you are looking for something a little bit special or unique for a new baby or parent, give them an Earthmother gift voucher and they can browse at leisure through a large range of beautiful, natural, organic items that every baby or new mum deserves. Great new mother pressie, thanks! All perfect until I went to print out the Gift Cert ! Thanks tho for promptly sending me the logo when I mentioned it ... I used it and wrote in italics in the same green with the details, worked well.